On Labor Day weekend, the 2018 Orange International Street Fair celebrated its 45th successful event. 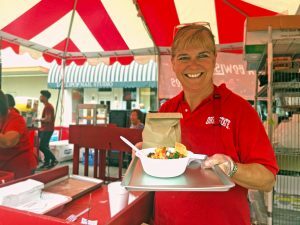 While many parts of Street Fair were similar to yesteryear, like the live music and the array of diverse vendors, some aspects of Street Fair were different: notably Friendly Center’s food menu! Fiesta Bowls were our main menu item this year, and they did not disappoint. 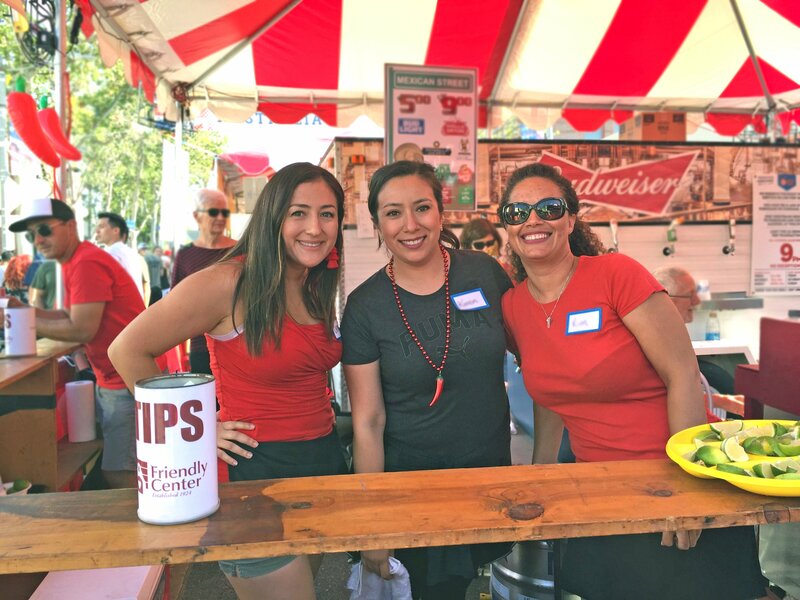 Dozens of Friendly Center volunteers worked tirelessly throughout the weekend to assemble Fiesta Bowls and serve beer for the community, all to benefit our mission of ending generational poverty in Orange County. We’re happy to report that the Fiesta Bowls were a hit! Likewise, we couldn’t make churros fast enough. To be exact, 1,000 churros were sold before lunchtime on Sunday. It was a successful weekend that couldn’t have happened without Friendly Center’s generous sponsors, volunteers, and staff. Thank you to everyone who participated: from street fair attendees who bought a delicious horchata to our Fiesta and Chili Pepper level sponsors to the volunteers who smothered churros in cinnamon sugar late into the night. To those who couldn’t make it, be sure to stop by our booth next year! Street Fair is always on Labor Day weekend, and Friendly Center opens volunteer shifts the first week of August.